This morning news broke that NBC Universal and News Corporation’s joint video venture, hitherto dubbed “Clown Co.”, is now to be known as Hulu. Initially, I was a bit concerned that this could be merely a hoax, as no press releases were sent out by NBC or News Corp. themselves. However, after speaking with the Hulu representative, Christina Lee, and seeing the news spread across the circuit like vine, it does appear as though this announcement is authentic. Jason goes on to explain that the private beta will initially involve only a small number of people but will grow with time. Distribution partner sites will include AOL, Comcast, MSN, MySpace, and Yahoo. With Hulu, NBC and News Corp. now have two placeholder video websites intended to eventually challenge YouTube, the other being Didja, a website for entertaining commercials. Thanks for the tip and help Jon Burg and Allen Stern. 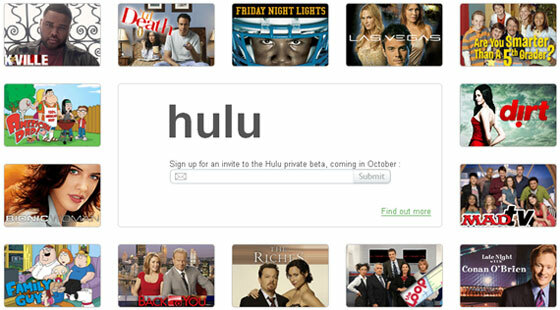 Update: Hulu is set to launch in the Fall around October and will focus on professional content and not take on YouTube directly as a viral video destination. The site remains solely an enterprise of the Fox/NBC joint venture, which raised over $100 million in financing from Providence Equity Partners. Videos will be played in their own embeddable branded player.